Academic Fraud Continues At Some Schools And The DOE Does Not Little About It. After delaying for six months, the DOE finally released information that 30 high schools violated State and City "credit recovery" guidelines and allowed students undeserved credits to jack up their graduation rates. 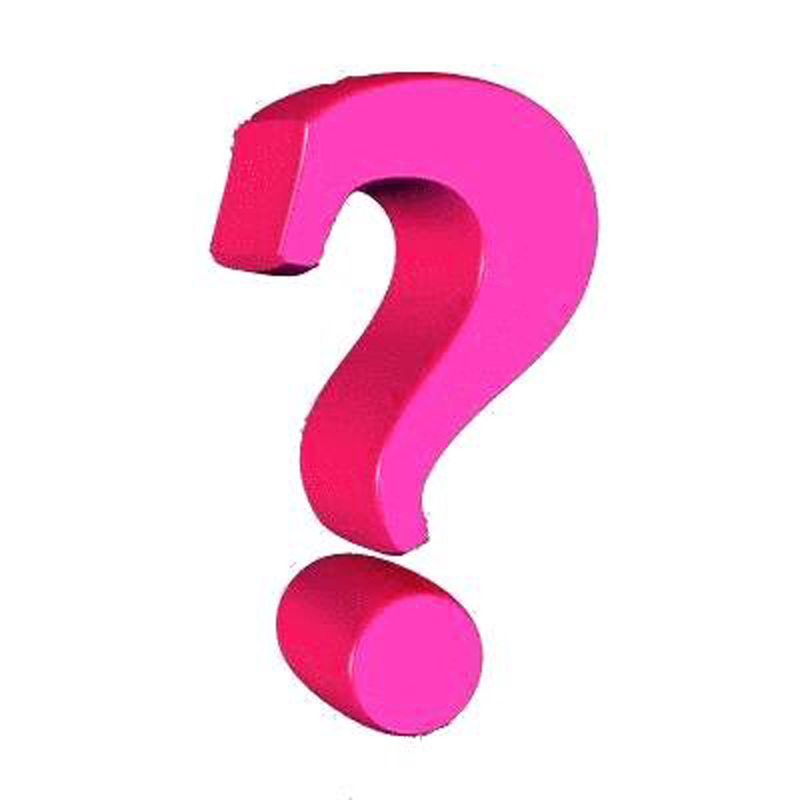 What discipline did the DOE impose on the school administration? None, that's right, not one school administrator was disciplined, no Principal was fired, fined, or even given a letter to their file. Of the 30 high schools cited, only 10 will be monitored by the DOE (ha, ha) to ensure they don't violate the credit recovery regulations in the future. Acade4mic fraud in the New York City public schools has not been eradicated but continues to thrive as principals have little to fear if they get caught "gaming the system" as the DOE rather put "lipstick on the pig" then take real educational action for the alleged abuses. 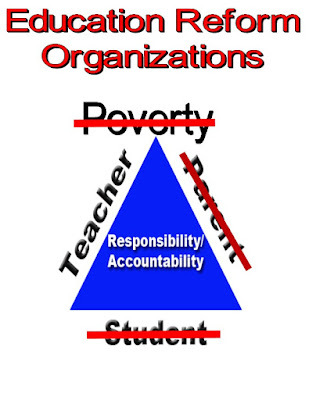 Maybe, if the DOE took seriously the many educational abuses found in the schools rather than protect school administrators, we would get a true picture of the student academic achievement at each school. Instead, we end up with highly inflated and bogus graduation rates where over 3 out of every 4 students need to take no credit remedial courses in college and far too many drop out before getting a degree. Chancellor Carmen Farina and Mayor Bill de Blasio seem to follow the Bloomberg/Klein script that student academic achievement is getting better and the racial/income achievement gap is narrowing when the truth is that any academic improvement is all "smoke and mirrors" and until the administration decides to reduce class sizes, ensure teachers certified in the subject are in front of the classroom, and schools are fully resourced, student academic achievement is just a pipe dream. Why Teaching In The New York City Public Schools Under The Charlotte Danielson Rubric Is Hurting Student Achievement. When I first started teaching 20 years ago, my Assistant Principal was there to assist me as I struggled through classroom management problems, curriculum issues, and the stress of controlling 150 different incomplete teenage personalities on a daily basis. When I had a problem, my assistant principal would offer helpful hints, she would tell me stories how she struggled in her early years of teaching, and how the students have told her how they liked me, even with all my faults. With her supportive guidance I went from a terrible "newbie" teacher to a quality teacher five years later. During my early years of teaching I never had to worry about a "gotcha observation" and the administration would give me a "heads up" when they intended to come in. Moreover, the school administration allowed me to teach the way I felt most comfortable with and the result was many of my students exceeded expectations. 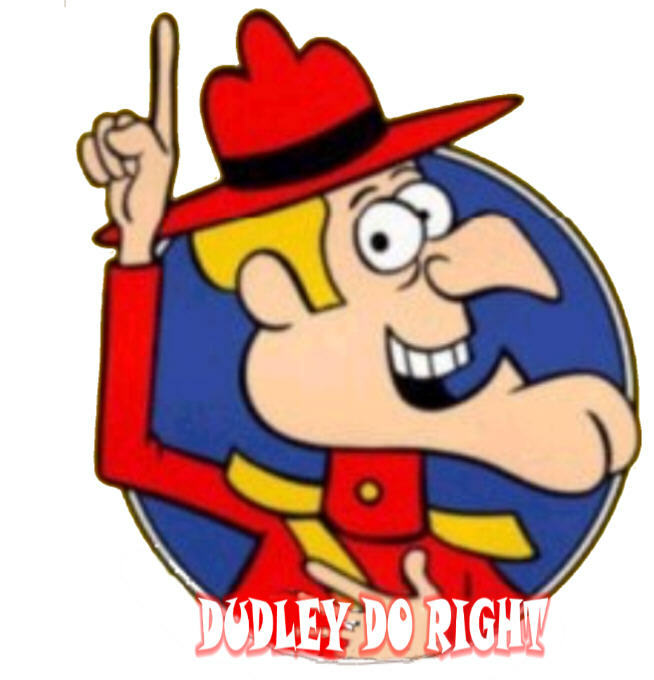 To the school administration it was what's best for the students not going after teachers or using a "one-size-fits-all" rubric to satisfy DOE Central. Unfortunately, for most teachers those days are long gone. Now we have Leadership Academy Principals with little or no classroom experience who think of themselves as CEO's of their school rather than as an instructional leader. Furthermore, we also have assistant principals who ended up in their position by connections and not teaching ability. 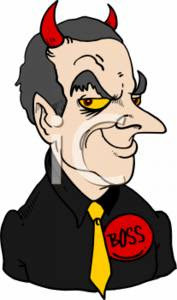 Their job has morphed from respected educational role models to feared bosses. The main weapon the school administration uses is the Charlotte Danielson rubric that forces teachers to follow a scripted format to be rated "effective". Combine the Charlotte Danielson rubric with poor school administration and you have a recipe for disaster when it comes to teacher satisfaction and more importantly, student learning. 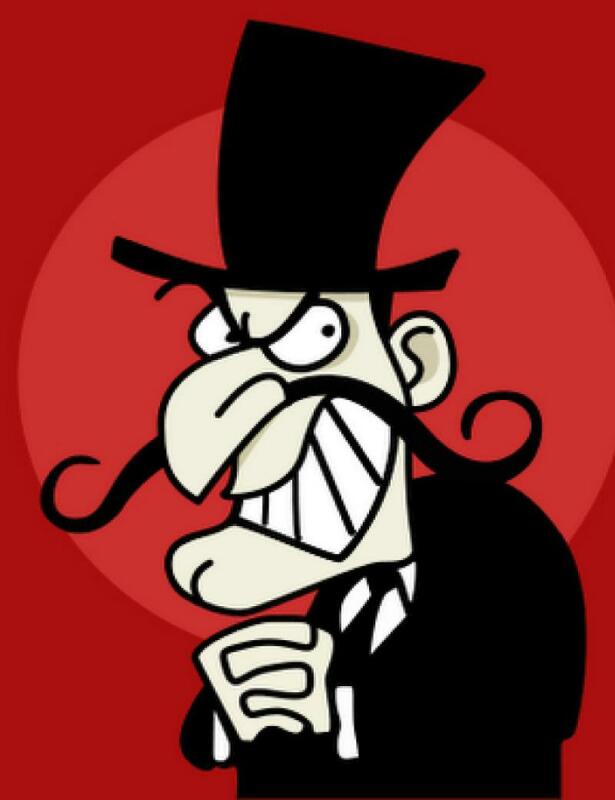 Many studies have shown a strong correlation between effective leadership, teacher satisfaction and student academic achievement, yet the Chancellor and her DOE managers rather concentrate on terminating teachers than improving the hostile classroom environment and until that changes all the DOE claimed academic improvements are all smoke and mirrors. Will things change? I hope so but I do not believe that the pendulum will swing back until we have a change at the top and a new Chancellor is appointed, until that time look for a continued emphasis on a punitive teacher evaluation system and low teacher morale in the New York City public schools. 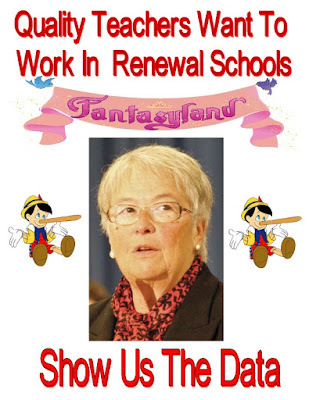 Carmen Farina's Fantasyland When It Comes To The Renewal Schools. 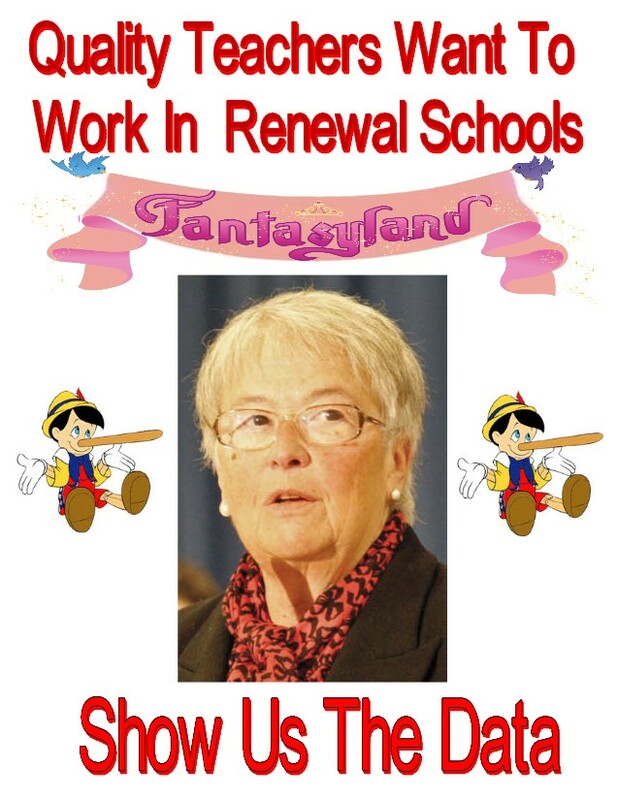 I snickered with amusement as I read the Chalkbeat interview with the disappointing Chancellor, Carmen Farina, and was especially laughing about the lies she said about the staffing of the renewal schools. If you read the Chancellor's comments you would be led to believe that "quality teachers" were applying in droves for coveted positions in the renewal schools. Unfortunately, the truth is very different. Let's look at what happened at Automotive High School. Few teachers reapplied for their jobs and the hired staff consisted of "newbies" with zero classroom experience. That is what's happening at all the renewal schools. 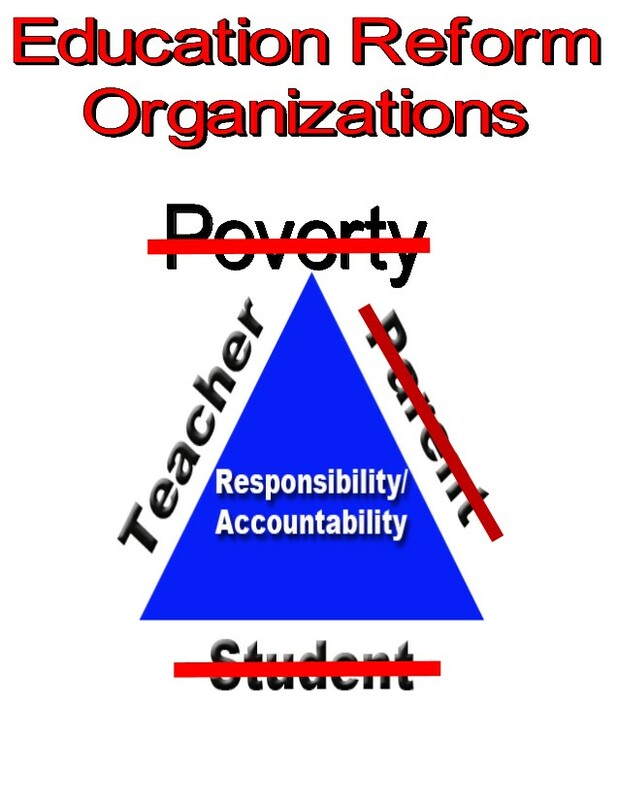 Few "quality teachers" are willing to jeopardize their careers to work in these struggling schools with "high needs" students while being subject to onerous accountability requirements that make teaching that more difficult. Yet, according to the Chancellor, teachers are applying to the renewal schools so they can be subject to the increased stress, useless professional development, and added responsibilities working in the renewal schools. Either she is in fantasyland or outright lying. Even when it came to the attendance issue, the Chancellor was less than forthright. She made it seem that the student enrollment has stabilized and that at least one school had more applicants than spaces available. First, most of the renewal schools continue to have enrollment issues and the parents of academically proficient students do not select these schools for their child. Moreover, many of the renewal schools suffer from safety concerns as the schools have more violent incidents than other schools. Finally, the increased accountability on teachers add to an already stressful situation at these renewal schools. The truth is that the renewal schools are not a pleasant place to work in and no matter what the Chancellor claims, its a place that no "quality teacher" would willingly work in. 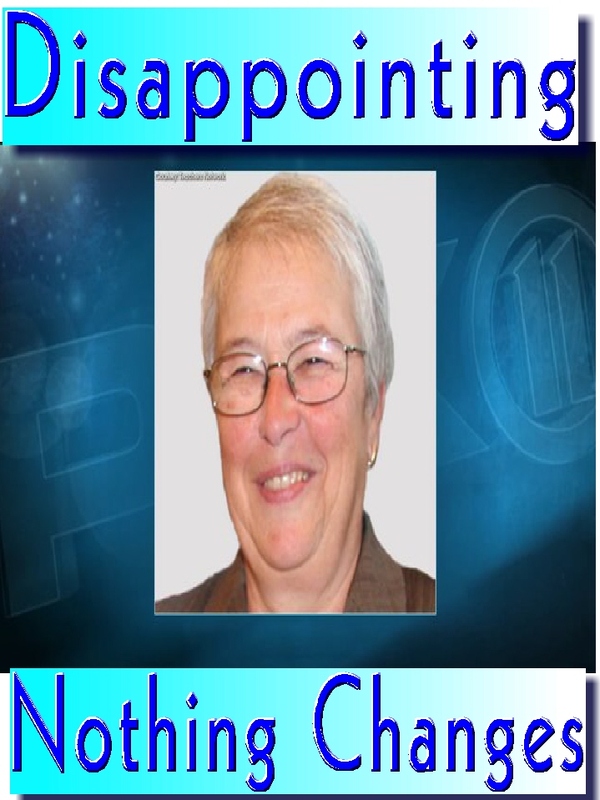 Chancellor Carmen Farina's Report Card Is A "D" For Disappointing. 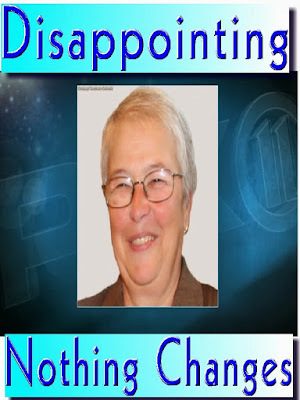 Its been two and a half years since Carmen Farina took over the New York City Public schools as Chancellor and she continues to be a disappointment to the students, parents, and teachers of our school system. Let's look at why the Chancellor has maintained her disappointing "D" rating. Eliminated the useless and money sucking Children First Networks and gave the Superintendents back the power they need to effectively run their schools. However, many of the Chancellor's selections to be a Superintendent must be questioned, be it Juan Mendez or Amiee Horoiwitz. Require seven years of school teaching and administration before graduating from the Leadership Academy to become a Principal. However, she has apparently carved out some exceptions already. Carmen Farina has shown that she supported the continued attacks on teachers as her 3020-a numbers are similar to when Bloomberg was Mayor. Moreover, she has told new teachers not to listen to the older teachers in the teacher's room. The ATR pool has remained relatively unchanged since she became Chancellor and she is more interested in firing the ATRs than placing them in schools. Just look at the 2014 contract that made ATRs second class citizens and even tried to overreach by pushing some into expedited 3020-a hearings. Class sizes have actually rose under Chancellor Carmen Farina and school resources remain scarce as schools struggle with tight budgets while DOE Central remains bloated. Chancellor Carmen Farina continues to support "fair student funding" (fsf) and to make matters worse, the average school only received 86% of the fsf allocated to the school. Worse, the Chancellor's budgeting shenanigans has resulted in the school;s forced to hire"the cheapest and not the best teachers" for their school. The Chancellor's failure to remove bad principals after telling the media their are 400 principals who should not be running their schools. The lax student discipline code that has made schools increasingly unsafe for all. The bottom line: Chancellor Carmen Farina gets a grade of "D" for disappointing. 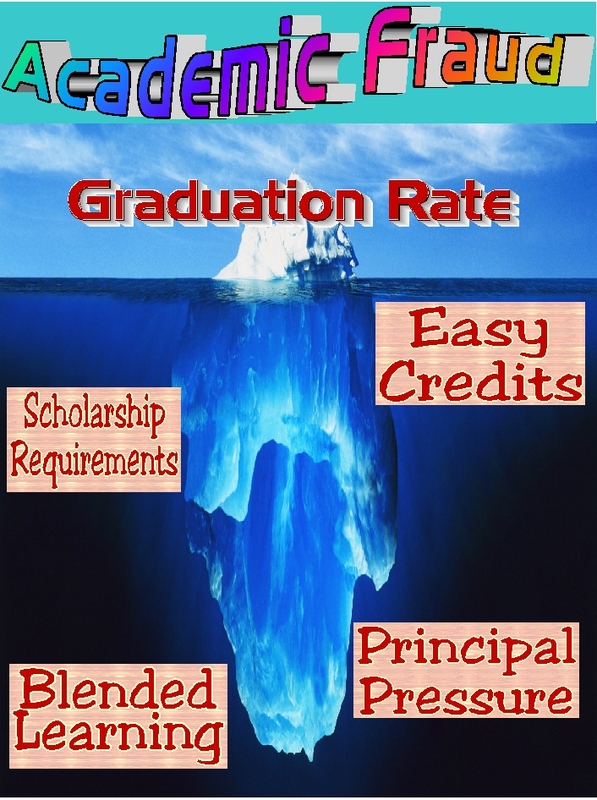 What Metric Should One Use To Determine If A Student Will Be A Sucessful Adult? A couple of years ago, I proposed that the "college and career readiness" metric should be used to determine if a school was giving their students a quality education and on track to being a successful adult. I received some undeserved flack from my fellow bloggers and teaching colleagues when this metric showed that majority Black schools did the poorest using this metric. The more sane of my critics pointed out that the "college and career readiness" metric was not an appropriate indicator of adult success. However, nobody proposed a better metric. The reason I used this metric was because Principals and the DOE could not manipulate the "college and career readiness" metric. By contrast throughout the DOE academic fraud is practiced and even condoned at Tweed, be it the bogus graduation rate, phony credit recovery programs, undeserved credit accumulation, or scholarship requirements that forces teachers to pass 80% or more of their students (included frequent absentees) or face low observation ratings. In January I used a ratio between the graduation rate and college readiness rate for all unscreened high schools in Queens and found any school with a ratio of 3 or less was giving a quality education. On the other hand, any schools that was higher than 3 raises doubts about how successful their graduates would be in the adult world. While I received less criticism, there were the same complaints about using the "college and career readiness" metric. Today I received a call from a professor from a well known college who was preparing a detailed study on which schools graduate the most successful students into the adult world. We talked about culture, poverty, family, and peer influences and then he asked me which metric I would use to predict student success in the adult world. Not surprisingly I cited the "college and career readiness" metric since it could not easily be manipulated by principals. The professor stated that he was looking for a metric that corrected for all the factors we discussed and using the "college and career reediness" metric did not correct for these factors. I mentioned the State tried to do this and most education experts call it 'junk science" and has been universally panned. We finished our conversation with promises that we will keep in touch. My question to all, what metric would you use to predict the success of a student in the adult world? I'm interested in your thoughts on this matter. In Defense Of A Great Teacher. I have read the unfair and inaccurate twitter criticism of teacher Arthur Goldstein by failed educator and journalist Alexander Nazaryan who couldn't last five years in the New York City Public Schools and believe it's time to defend Arthur Goldstein as the great teacher he is. This started as a twitter battle between the two. Arthur Goldstein took offense that Mr. Nazarayan called Arthur a shrill for the UFT, which Arthur quite correctly pointed out as being ridiculous. Mr. Nazaryan then decided to attack Arthur personally and showed his true colors by disrespecting the entire teaching profession. Mr. Nazaryan said the following on Twitter to Arthur. "People like you is why teaching is not respected anymore". Now I worked with Arthur Goldstein back in 2011 and 2013-14 school years and covered for him while an ATR in 2011. I can tell you that his students genuinely respected and missed him when his Chapter Leader duties required him to represent teachers or meet with school administration. Arthur teaches ESL and his students have recently arrived in the country with little English skills. Yet by the end of the school year these students, who can barely speak English and have no English reading or writing skills, have developed into proficient English speakers and are on their way to successfully pass the English Regents. Most of their success is attributed to Arthur Goldstein gently prodding these students to success by using a combination of academic instruction, joking, nurturing, and stern lecturing, A hallmark of a "quality teacher". When I covered three ESL Earth Science classes in the 2013-14 school year, I asked the students which teacher helped them the most to acclimate to our culture. Universally they told me it was Mr. Goldstein who helped them the most. Arthur, works with the most needy students in the school and is loved and respected by his students who end up becoming productive adults and a real asset to their adopted country. By contrast, we have failed educator Alexander Nazaryan who back in 2012 disparaged the high needs students and staff of the South Bronx schools while praising his students and Principal at the high achieving specialized Brooklyn Latin, before he left teaching altogether. Read my 2012 post Here..
Now Mr. Nazaryan has written another article, from the view of a failed teacher and an education reformer in Newsweek. At first, Mr. Nazaryan;s article seemed to present both sides of the education issue but then he wrote this. Paradox alert: The people who know our public school system better than anyone, the ones who suddenly have it back in their hands, were the very ones who allowed American schools to sink into mediocrity, so much so that the most powerful nation in the world does markedly worse than Slovenia in educating its young. The reform movement, after all, would have been unnecessary if previous generations of public educators had done their jobs. Mr. Nazaryan with the above statement is showing his education reformer slip if you ask me. Moreover, he cited the badly flawed MDRC study that is pro small schools and and ideological in nature as proof of the small school success. However, please read my post on why the MDRC study is crap. There are more in his article I disagree with but while, on the whole his article appears somewhat even handed, its obvious his personal opinion is very sympathetic to the education reform movement and his twitter response to Arthur Goldstein shows a clear bias against the teaching profession. Besides being Disrespected, Teachers Are Underpaid As Well. In a new study by the non-partisan Economic Policy Institute found that the pay gap between teachers and other professionals is wider than ever. The latest data shows that teachers are paid 17% less than other professions with similar education and experience. By contrast the wage gap between teachers and the other professionals was only 1.8% in the mid 1990's. The question is why did the pay gap between teachers and other professions get so large? First, is the unattractive salaries and working conditions, especially in poor urban schools that result in many teachers leaving the profession for better paying positions and without the stress of the classroom. They are usually replaced by "newbie" teachers who make minimum salary, who in turn, leave for greener pastures themselves in a few years. This further depresses salaries as school districts suffer high teacher turnover and leave before receiving significant salary raises. Second, State and Local teacher evaluation, complete with "junk science" , has made lasting in the profession a punitive one and has resulted in few college students willing to enter the teaching profession which has resulted in widespread shortages. Third, the school and teacher accountability policies by politicians and education reformers have resulted in high teacher turnover nationwide. Many teachers decide that their talents are better compensated and appreciated in other professions. Finally, the climate of disrespect fostered by education reform organizations and their political and media allies has made the teaching profession an unappealing long-term job and has encouraged potential teacher candidates to seek other professions. A side note, having a union that can collectively bargain helps somewhat as unionized teachers make only 11% less than other professions with similar education and experience. However, that is sill far less than what they should be paid. 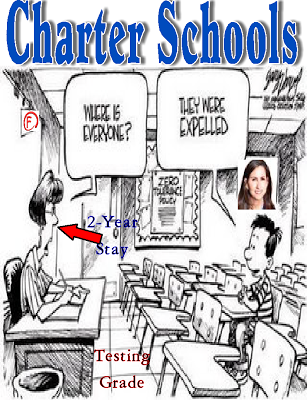 If you read the Daily News and New York Post editorial boards and their education reporters like Ben Chapman and others they would have you believe that charter schools are superior to the neighborhood public schools. They would cite the badly flawed State tests as evidence but ignore the many negative issues associated with the charter schools. Just read my post Here. Removing the struggling student: First and foremost the more successful charter schools will find ways to remove the academically struggling or badly behaved student from their school by the third grade when testing begins.This weeding out process continues throughout the years so by the time the cohort leaves the school, there is less than a third of the original group left. Furthermore, the successful charter schools don't back-fill the open positions, this ensures that they keep the more successful students without diluting the cohort. Emphasis on test preparation: Its no secret that the successful charter schools concentrated on teaching to the State tests, especially English and Math. Both subjects can make up almost 50% of the school day. Interest6ingly, until this year none of the charter school students were selected to the specialized high schools since the entrance exam was based on mastery of all subjects, not just English and Math. High teacher turnover: Few charter school teachers last three years ant there is a 50% turnover yearly. In fact the State, realizing that the charter schools were finding it difficult to hire and keep certified teachers, allowed a third of the staff to be uncertified. Lack of high needs students: The successful charter schools do not represent the neighborhood demographics and recruit potentially higher achieving students from outside the neighborhood. This is especially true when it comes to English Language Learners and Special Education students. The few of these students the successful charter schools take usually get nothing more than a resource room. 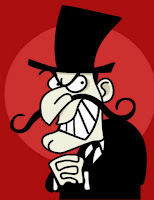 When you look, in depth, at the so-called education miracle you find it's really all smoke and mirrors. Just take a look at what blogger Gary Rubinstein did to show this and can be found in my blog Here.. Comparing Apples And Oranges - The New York State Common Core Tests Of 2016. Unfortunately, real academic achievement has not been demonstrated by the badly flawed and manipulated high-stakes State tests. In fact the NAEP national test, the gold standard, has not shown any improvement in student academic achievement since 2013. Therefore, the 2016 State tests are probably invalid as a meaningful measurement to show real academic gains. Read the NYC Parents Blog for a clearer and more complete analysis of the State test flaws. Let me give you a real world example, if you were a chess player and played chess with and without a clock which game would you fare better in? The game without a clock of course since there is no time pressure to contend with.. The same goes for the State tests, the students are bound to do better without the pressure of a time limit. Moreover, the fewer questions also contributes to higher student achievement, especially when the State once again lowered the "cut scores". Finally, teachers were given more test preparation materials and were better able to concentrate their test preparation instruction. This is especially true in the charter schools where the majority of the day is concentrated on the English and Math test preparation. Therefore, it's little surprise that the charter schools had relatively large increases in the badly flawed State tests. 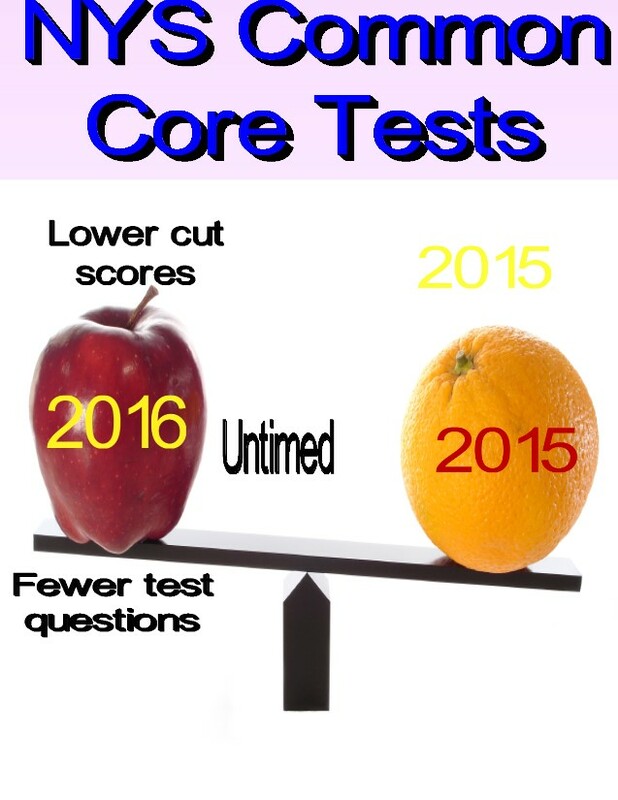 The bottom line is that the NYS high-stakes Common Core tests are badly flawed, manipulated to meet certain political goals, and are geared to test preparation rather than real learning. Consequently, these State tests and have no validity when it comes to real academic achievement. To Our Clueless Mayor And Chancellor, Its School Safety Stupid. Parents, students, and teachers were asked how satisfied they were with the public schools and parents gave a 95% approval rating of the education their children are getting. However, they had one overriding complaint. You guessed it school safety issues. All three groups expressed concern to the deteriorating school safety climate and saw their satisfaction levels drop in this category. The largest drop came from teachers who saw their school safety issue a concern. The 2016 report showed that teachers most affected by the deteriorating school safety issue by increasing 5% from 2015. The percentage of teachers who reported that order and discipline are maintained at their schools fell from 85% in 2015 to 80% in 2016. Both Bill de Blasio and Carmen Farina claim that suspensions and arrests are disproportionately given to Black and Latino students and therefore, is racial in nature. However, the head of the school safety agents, Greg Floyd, which is 90% minority (70% women) said the following statements to the Chief with regard to the high arrest rates of minority students. "Activists like to take statistics and run with them, they don't like to look at the complete picture. No one is looking to arrest black or white students, they're arresting students who are committing crimes". "Given the de Blasio administration's record of allowing crime to go unpunished, I suspect that now there's going to be a push not to arrest anybody in the schools for doing anything." 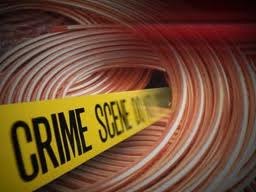 With the new, more lenient student discipline polices enacted by our clueless and inept Mayor and his disappointing Chancellor, look for school safety issues to become an increasingly dangerous problem as violent and insubordinate students are left in class to continue to terrorize and disrupt the classroom making a peaceful classroom where everybody can learn a pipe dream. 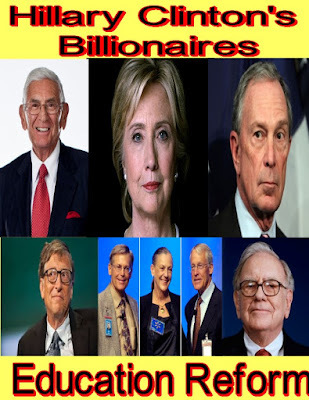 Education Reform Billionaires For Hillary Clinton. I have been getting some hate mail from my fellow teachers and I suspect from our union leadership on my previous post about who supports Hillary Clinton. Their main complainant is that the only alternative is Donald Trump and he is pro charter school and school choice (vouchers). While I agree that Donald Trump's education agenda is terrible for the public schools. If he were to somehow win the presidency, the Democratic National Committee's (DNC) education agenda (not Hillary Clinton's) would deadlock Congress and the Donald would have no choice but to comprise his education agenda if he is to get things done. By contrast, if Hillary Clinton wins the presidency, she will disregard the DNC education agenda and support the education reformers that have had Barack Obama's backing. Besides the $48.5 million dollars she has received from hedge funds she also is supported by the education reform billionaires as well. 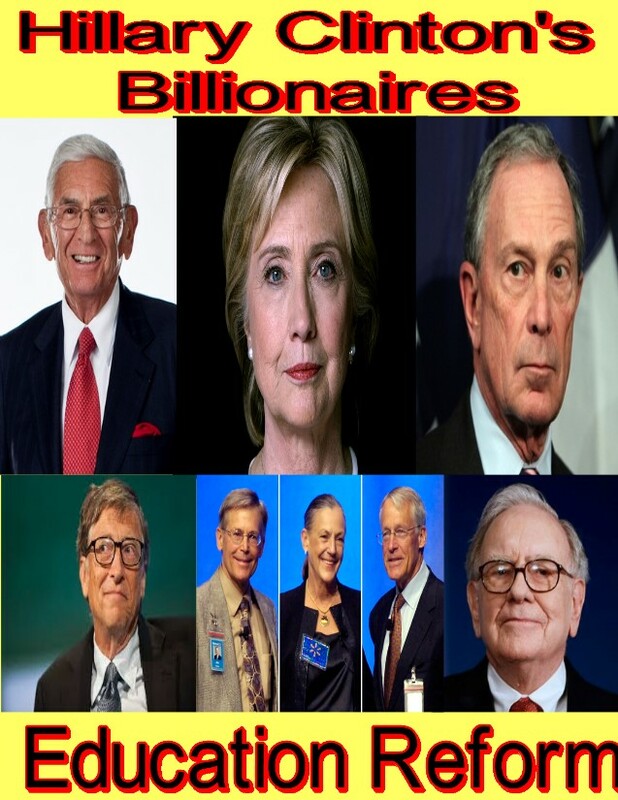 Already Eli Broad, Michael Bloomberg, Bill Gates, Warren Buffet, and the Walton clan has donated loads of money to Hillary's campaign. Moreover, they have strongly and publicly support Hillary Clinton. Does anybody really believe she would ignore their demands? Hillary Clinton has said she would continue Barack Obama's policies and if that includes education then it will be a another 4 years of hurting public school education as the Republican agenda would be closer to what education reformers want and I can see Hillary Clinton and the Republicans having common cause when it comes to education policy. I hope I'm wrong but I doubt it.